CHECK OUT MY GREEN BELT OF DOOM! PS. HOW DO I TURN OFF CAPS? He is clearly clarinet boy’s body guard. Good luck getting to him now. So I became a ninja turtle. Glasses and then no glasses wtf! Nice pic, can i have your autograph now? 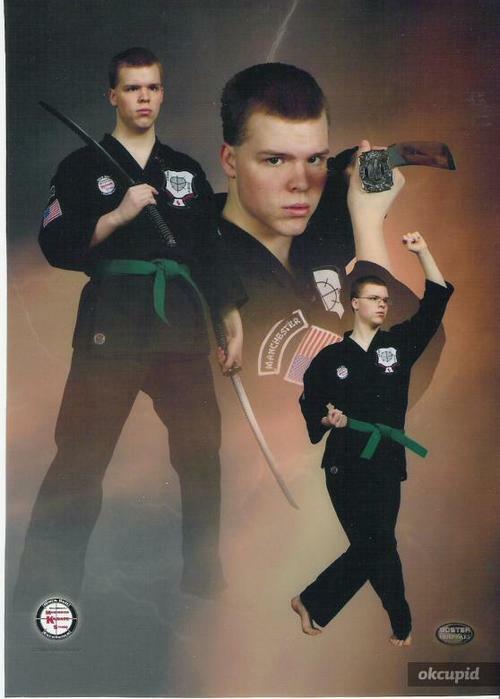 i cant wait to see what the photo for his black belt looks like. Hes single girls, see the okcupid stamp at the bottom? OKCupid? You telling me this was this guy’s OKC pic? Does he honestly think this isn’t going to send girls running in terror?